You know yoga helps with various ailments of body, mind and heart. The teachings of yoga provide us with an understanding of why but only now is modern science beginning to prove what the yogis have been saying. An understanding of the brain can support the yogis experience of asana and meditation. In her clear, witty and reverent way, Livia will explain cutting edge science that illustrates why yoga works and sometimes hurts. 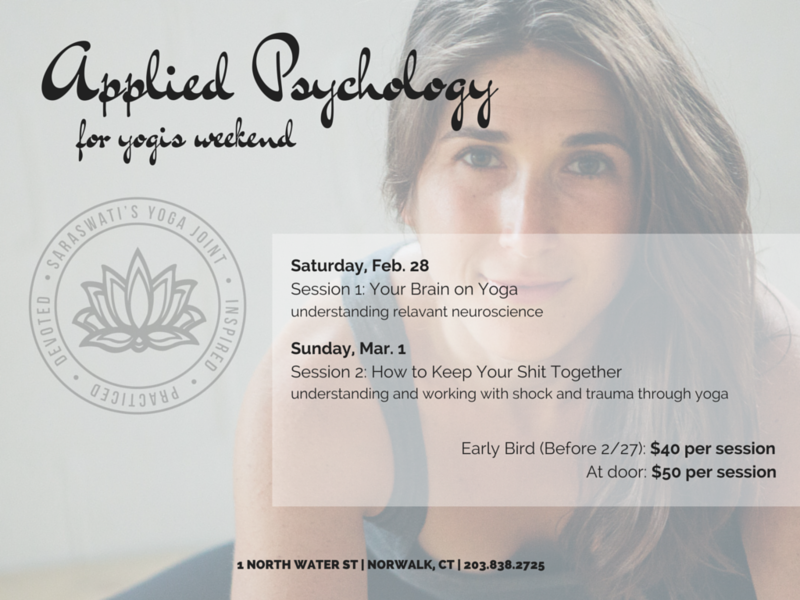 A glimpse into the brain mechanisms of particular importance during any given yoga practice, we will explore the limbic system, the nervous system, how memory is formed, how we learn movement imprints, and why that even matters. Get ready to geek out. This will change your perception of the art and science of yoga. All of us experience trauma in our lives but for various reasons some of us enter into states of shock. One of the most effective practices for working through this state is yoga. We may not always know the trauma stories our students hold when they walk into our classroom. Livia will offer an embodied understanding of shock, trauma, activation, and emotional regulation. You will Learn to identify shock, dissociation and activation in yourself and others along with honing skills to support yourself and your students in any yoga class. Livia is a pioneer in the intersection of yoga and psychology. She is known for weaving together yogic teachings, the discipline of asana and somatic psychology in clear and meaningful ways inspiring teachers and students alike towards greater safety, trust and the discovery of their own truth. A scholar-practitioner, her passion for learning and irreverent reverence is infectious. Her methods of teaching straddle old school lectures and new school unconventional experiential models.